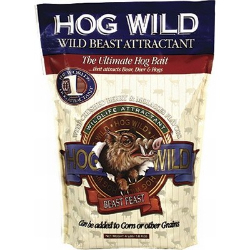 Feral hog populations are rising, and we’ve got the number one hog attractant in the world to help you fight back. This granular feed smells and tastes like crushed berries and molasses. Hogs will root for hours to get every last morsel. Ultra-concentrated powder. Best-selling formula brings in the whole sounder. Irresistible sweet berries and molasses taste.